Upendranath Ashk - A young man, Chetan, from Jalandhar longs to become a writer but fails at every turn. His world is meticulously recaptured through fine and seemingly trivial details which make the background come alive. Upendranath Ashk, In the City A Mirror Wandering, Trans. by Daisy Rockwell, Penguin, 2017. Magnificent... Ashk writes with a clear hand and is served well by Daisy Rockwell as she recreates a compelling narrative Dawn Unfolding over the course of a single day, Ashk s sweeping sequel to Falling Walls explores the inner struggles of Chetan, an aspiring young writer, as he roams the labyrinthine streets of 1930s Jalandhar, haunted by his thwarted ambitions but intent on fulfilling his dreams. Smarting from his recent failures in Lahore and Shimla, Chetan is faced with the prospect of taking up a dead-end job. To make matters worse, he is married to a woman he does not love and is pining for another man s wife. Constrained by his circumstances, wracked with remorse and regret, he desperately seeks a way out of his myriad problems. And as he trudges around Jalandhar, constantly running into people he d rather avoid, Chetan finds himself confronting the tangled memories, frailties and fears that assail him. Intensely poignant and vividly evocative, In the City a Mirror Wandering is an exploration of not only a dynamic, bustling city but also the rich tapestry of human emotion that consumes us all. Upendranath Ashk, Falling Walls, Trans. by Daisy Rockwell, Penguin, 2015. A young man from Jalandhar longs to become a writer but fails at every turn. Upendranath Ashk's 1947 novel explores in great detail the trials and tribulations of Chetan. From the back galis of Lahore and Jalandhar to Shimla's Scandal Point, Falling Walls offers a rich and intimate portrait of lower-middle-class life in the 1930s and the hurdles an aspiring writer must overcome to fulfil his ambitions. When Sa’adat Hasan Manto died in Lahore in 1955, Upendranath ‘Ashk’ wrote a long obituary which he titled “Manto My Enemy.” The two had worked together in All India Radio in Delhi, needling and disparaging each other constantly until Ashk, by his own account, drove Manto to leave and seek employment elsewhere. Shortly afterwards, however, Manto called Ashk over to Bombay to work together again, now in Filmistan Studios, and they were promptly at each other’s throats. “I like you,” Manto soon said to Ashk in English, “though I also hate you.” After the obituary was published, Manto’s widow Safiya wrote to “Ashkbhai-jaan” (brother) to say he had only told the whole truth. She also thanked Ashk for the money he had sent her more than once, for Manto had died in penury and debt. In the 1930s-’40s, Ashk and Manto were thus on the same page, as rivals but companionate writers of comparable stature. Since then, and especially after the surge of interest in Partition literature upon the 50th anniversary of the event in 1997, Manto’s star has been in the ascendant, perhaps even more so in English than in Urdu, while Ashk languishes in relative obscurity. His literary output is incomparably larger and more various in its themes than Manto’s, comprising huge slices of the human comedy, but Manto with just half-a-dozen searing short stories of man’s inhumanity to man — and to woman — is now in another orbit. Upendranath ‘Ashk’ (1910-1996) grew up in Jalandhar speaking Punjabi, began writing poetry in Urdu with the takhallus or pen-name of Ashk (tears), switched to writing novels and short stories in Hindi, and then won popularity as the author of widely performed Hindi plays. He had left Bombay when he fell ill with tuberculosis and after a slow recovery, decided to make his home in Allahabad, then the great garh or citadel of Hindi literature. He set up his own publishing house there and jostled for space among numerous hugely talented writers of whom as many as four were to go on to win the Jnanpeeth award. 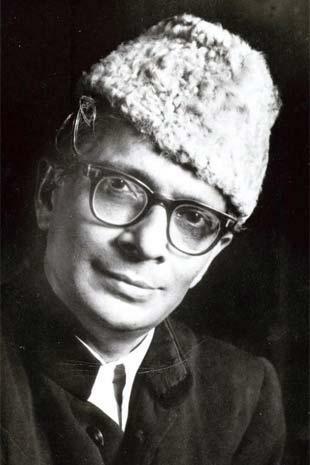 He always felt that he was treated as a Punjabi outsider and never given his due, and he didn’t help matters by going after his critics by joining issue with them at length in print, because of what he called his “love for revenge.” Meanwhile, besides publishing numerous other works of his as he went along, he carried on for half a century with what he intended to be his magnum opus in seven volumes (1947-1996); it came to some kind of an inconclusive end only with his passing away. In fact, nothing could be further from Proust’s great psychological novel than Falling Walls, for Ashk was a practitioner of what Namvar Singh in a letter to him forthrightly called “dire realism and factualism.” Ashk’s semi-autobiographical hero Chetan is 21, and drifts from being a school teacher in Jalandhar to a petty journalist in Lahore to an assistant to a dubious vaidya in Shimla. He wants to write a novel but has read hardly any himself. His singing at a public performance is a disaster and his acting in a minor female role in a play is a calamity. But it all happens so randomly and superficially that it does not seem to affect him much or help him grow, for he never thinks and seldom feels. Indeed, he seems to have hardly any interiority to him worth the name. When Ashk sent a couple of short stories to Premchand in 1932, Premchand advised him to read a good book on psychology and also EM Forster’s Aspects of the Novel. Bhai Sahib, I just want to stay a child. I don't want to grow up. It's not that he's unwilling to take responsibility -- at that point he's actually helping to bankroll his older brother's dentistry-business, for example -- but he's still barely formed, still just beginning to figure out who he wants to (and is capable) of being. He hadn't read many novels, and his knowledge of the form was limited to some of Premchand's works, a few novels that had been translated from Bengali, and a handful of extracts from English novels he had read in textbooks, and it was beyond him to write a good novel with so few examples. But he continued to write without fully comprehending the reality of his situation. A strong desire to express his feelings continually bubbled up inside him, so he just kept writing, but because he had no authority over the art of novel writing, he kept getting stuck with his novel. His mother saw to it that he got the best education they could afford in backwater Jalandhar (a city of over 100,000 even back then, and close to a million now ...), but there's no way he can take the next step and get a real degree in the regional metropolis, the Punjabi capital of Lahore. Still, Chetan itches to escape the small(er)-town life, certain that only in the big city could he possibly achieve any of his still indistinct dreams. Chetan was fed up at last. And so, one day, he set out quietly for Basti Guzan to catch a glimpse of his future wife. Chetan learned that Chanda -- his plump and dowdy wife -- possessed an extremely fine and sensitive heart beneath her rather ordinary appearance. He also wishes she were better-educated -- a lot to ask for in times when it as still difficult for women to get much schooling, though at least she already comes to him literate -- and he even tries to teach her himself. That doesn't go so well, but eventually she does continue her education, quite successfully. Chetan is big on efforts at betterment, and so, for example, when he discovers what a fine voice she has also invests in studying the harmonium and making music with her. Despite their year and a half of companionship, Chanda had never been able to take the initiative in their love. Family structures are fundamentally rigid, yet there's tremendous fluidity to them. Chetan's mother already shuttled her children back and forth, to keep them away from their boozing father, who targeted Bhai Sahib in particular, sending them off to live with a grand-father while she joined Pandit Shadiram wherever he was stationed when she could (to keep him from drinking away all his earnings). After he has set off, Chetan convinces his older brother to move with him to Lahore -- arguing that Bhai Sahib's chances of professional success are much greater there -- and supports him, despite not making much either; meanwhile one or the other of their wives joins them for extended periods of time, the other remaining with their mother back in Jalandhar -- until Ma gets too fed-up with whichever daughter-in-law is there ..... At times, both couples live together in Lahore -- but Bhai Sahib's wife is hard to get along with, so that's not in the cards long-term either. Surprisingly, it's generally Chetan who makes the decisions, for himself and the others -- of who is in Lahore, who back home -- a juggling act he's not particularly successful at, but which both his wife and his brother seem to respect. In an extremely polite but tearful tone, Chanda said, "You don't know; if I sat with you, everyone would start talking. The women of the family would gossip about me, they'd say whatever came into their heads. (Instead, it's the beautiful young cousin Neela who looks after the patient -- something that becomes both understandable and considerably creepier, given Chetan's longing for her, when it's revealed the girl is really only a child, only in her earliest teens). Chetan was one of those simple, meek young men who hadn't turned wily and crafty in the big city of Lahore. He hadn't yet developed the skills to laugh off every horrible incident, argue about things in a philosophical manner and prove that his daily acts of evil were far better than all the good deeds of the honourable masses. He had a simple soul. He was innocent, pure and good. He hadn't yet soaked up the philosophies of his urban environment. This was the first compromise he made between his own innocence and the age of deceit. The last third or so of the novel focuses on his time and experiences in Shimla, and narrows the story even more closely down to Chetan, his family not only kept at a distance (they're back in Jalandhar and Lahore), but barely even heard from: there's a disagreement with his brother that (conveniently) keeps them from communicating, while, to Chetan's frustration, Chanda's missives are barely a few words long -- she's not much of a letter-writer. But out of sight the family seems more or less out of Chetan's self-absorbed mind, in any case. The irrepressible urge to express himself manifested sometimes in one form, sometimes in another. What the correct medium for this might be he didn't yet know. But he did want expression. He wanted to react against the harshness of his environment in his art, even to take revenge; though in all appearances a meek, orphan-like child, he'd been buffeted by powerful storms within. Kaviraj is a manipulative fraud, but not purely despicable. He even has a bit of a creative soul, and Chetan is intrigued by him, and can learn from Kaviraj's cheery embrace of deception and salesmanship: "It's not enough for an invention to be useful, or for a work of art to be creative. You also need to be good at playing the advertising game". Both Chetan's experiences with Kaviraj and his family, as well as some of local life, whether in the restaurants or the acting-group he joins, do teach him more about life; he sheds some of his naïveté -- though not without some humiliating moments, such as his on-stage embarrassment when they perform the play whih he has a part in. It's true that: "Chetan was as energetic on the inside as he was passive-looking on the outside", and he is something of a go-getter. He has ambitions, and he screws up his courage and tries to take the initiative quite often. He's also a bit hapless, and his taking the initiative is often a clumsy blurting out. He's neither entirely comic nor tragic hero, but he is a compelling character, well-drawn by Ashk. Set mostly in the present -- when Chetan is in his early twenties -- there are a few glimpses of what formed the young man. Interestingly, Ashk introduces their father's abuse mainly by focusing on how it affected Chetan's older brother, Bhai Sahib; only very late on does he reveal more of Chetan's own suffering and its lingering effects. As to the politics of the time, there's mention of the (contemporary) 1933 white paper, part of the lead-up to Indian independence, and a look back to 1929, when a younger Chetan was able to travel to Lahore for a Congress Party meeting -- where, typically, the politics barely register, and it's a flute he buys (and loses) that is the most lasting memory. If politics remain almost entirely in the background, Falling Walls still does offer a rich, fascinating look at the (northern) India of that time. Tradition dominates in every respect, from festivals and prayers -- transcending individual religions, as many partake in at least some of the rituals of each others' -- to behavior and expectations in families, and in public. From veiling to obedience, Ashk shows a broad cross-section of attitudes and behavior -- with Pandit Shadiram a prime example of the failures of the system (and his wife resourcefully trying to minimize the damage). Fascinating, too, is how largely invisible many of the characters remain, especially the children: Chetan's younger brothers, as well as Bhai Sahib's young children, barely make appearances underfoot, and are treated almost as entirely inconsequential; so too, Chetan's apparent lack of interest in what Chanda's life is like when she is apart from him (and her lack of interest in informing him -- as she can barely find anything to write to him about) are striking. Chetan's lusting, and his behavior with various women, is an interesting example of the difficulties society's strictures (and poor educational preparation) pose. A romantic at heart, he is completely unequipped to satisfy his desires, which Ashk presents very nicely (and, several times, cringe-worthily). In the end, Chetan still sees -- and sees himself surrounded -- only by walls; rather than falling, as the title would seem to have promised, they have only become clearer and, as such, arguably stronger. As such, Falling Walls is still only the beginning of this, and his, story. It is quite successful as such, however -- a thoroughly enjoyable slice-of-life epic with an appealing (if occasionally maddeningly clumsy) protagonist. Ashk doesn't get the shape of the novel as whole down right -- the Shimla-third is a bit broken off, and there's a certain lack of continuity (not chronology) that's made all the more obvious by the shuttling back and forth of Chanda into and out of Chetan's day-to-day life -- and the character-development is mostly limited to Chetan. Still, most of the story-telling along the way is very good. When we can find an Indian Shakespeare, even if it happens to be a certain Kalidas who predates the bard by a millennium, would it be difficult to locate an Indian Marcel Proust? Daisy Rockwell, an American academic, translator, writer and painter, traces the French novelist to a location as improbable as the blighted streets of pre-Independence Jalandhar. Translating the late Hindi writer Upendranath Ashk’s novel Girti Divarein, the first of a seven-volume collection, she finds it similar in many ways to Proust’s Remembrance of Things Past. Are modern Indians condemned to a derivative discourse, forever lagging behind the West in social and political expression? When you read Rockwell’s translation, you cannot fault her for her Western lens. 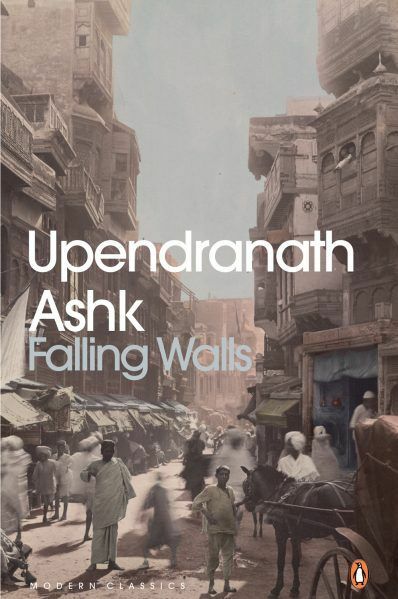 Falling Walls is a keenly modern novel Ashk was inspired to write after he came to know of Virginia Woolf. It is a rambling account of a lower middle-class boy’s life in Jalandhar and Lahore as he struggles to become a writer, trying to break free of stifling society, oppressive conventions and disabling poverty. In his ambition to find a personal space for creative expression, Chetan reminds one of Stephen Dedalus in James Joyce’s A Portrait of the Artist as a Young Man. In pre-Independence India, Chetan’s was a very European endeavour — what political thinker Sudipta Kaviraj might call ‘the invention of private life’. The autobiographical novel mirrors Ashk’s own pursuit of the European style. He wanted to depict the inner mind of the characters, admiring how Woolf had told an entire story by way of a morning walk in her novel Mrs Dalloway. Ashk’s act of writing the novel was a struggle to be modern, like Chetan trying to break free of his context, for he was breaking many literary conventions of the day. He was insistent that whatever was expressed was done through the characters’ lives, events, conflicts and entanglements and not through long speeches and debates. He wanted to let the novel speak through descriptions and not be didactic like what was mostly being written at that time. Those who rush in expecting romantic reveries, longwinded sentences, exquisite reminiscences and immersion into fine prose will be a bit disappointed. Ashk has no pretensions of the sublime, or the aristocratic elegance of Proust. But he too rambles, finds moments that trigger long flashbacks, and has written seven volumes to tell the autobiographical tale of a writer. He records his life in such abundant detail that it turns out to be the history of his time. You glimpse Proust in Ashk especially in his sideways incursions into character’s lives without showing any hurry to get the plot going. Protagonist Chetan is the consciousness of Ashk. Chetan’s yearning for a modern life reflects in Ashk’s conscious experiment with a modern form — a rambling, self-absorbed novel that makes a point to show, not tell. However, at the core of this modern novel is the realisation of its own derivativeness. There are numerous descriptions of dyers, folk poets, streetside storytellers, poetry jams on the sidelines of the Harivallabh Sangeet Sammelan, blacksmiths and other craftsmen, and a soda-bottle maker — as if Ashk is fumbling to find his native creative lineages. It’s a highly self-conscious novel, where many characters look like disguised ideas. Chetan’s elder brother, an idle card-player, is a voracious reader of novels. He reads indiscriminately, Premchand as well as pulp. In the standstill, cramped life of a poor neighbourhood in Jalandhar, it indicates a hunger for newer worlds and faraway places — anything that offers an escape from the hopeless stagnation around. Hunar Sahib, a nationalist poet, a scamster with shady antecedents and Chetan’s window to the literary world of Lahore, is an expert plagiarist who passes off couplets of famous poets as his own to unsuspecting admirers like Chetan and his brother. He seems to stand for Ashk’s struggle to be original while writing in a borrowed Western style. In 1951, Upendranath Ashk wrote a passionate defence of his six-volume series of novels, Girti Divarein, their protagonist a lower-middle-class Punjabi man in the 1930s. "The question is, in this age of struggle, for whom does the storyteller write?" he asked his critics. He wrote, he said, not for Kalidas's maharajas, but "for the thousands of other mud-smeared souls", like himself, setting down "the tiny, aggravating details of life that leave a bitter taste in one's mouth". I had read a lot of Ashk growing up in Delhi, but ducked the Falling Walls novels in the same way you put off reading Proust, or all of Tagore, or other classics: marking it down as monumental, intending to get around to it some day, and permanently postponing the encounter in favour of other, more contemporary books. Now I envy Daisy Rockwell, who has lived with the Falling Walls series for at least two decades, reading and slowly translating them, after meeting Ashk in his Khusro Bagh house in Allahabad in 1995, when she was in her twenties. "Falling Walls is one of those sorts of books that stay with you for decades and won't let you go," she writes in her translator's introduction. "What it has been for me, in particular, is a guide to finding one's own artistic voice and medium." This first volume (Falling Walls, Penguin Books, Rs 499, 486 pages), spans Chetan's life in Jalandhar, a student at an indifferent college who wants to go to Lahore to experience life; his years in Lahore as an aspiring and permanently failing author; and an episode in Shimla, where his gratitude to the benefactor who takes him to the hill station changes when he realises he has been pressed into service as an underpaid ghostwriter. His father and mother, Pandit Shadiram and Lajwati, live in a shabby ruin. The gallis and sewers of Lahore and Jalandhar, unlovely newspaper offices, mud-caked drains, the memory of beatings from his father in childhood: these form his world. Chetan veers between trying to write poems and short stories, distracted by a growing interest in women, and the usual necessary and demanding relationship between him and poverty. THE latest addition to the prestigious international series of Penguin Modern Classics is the novel Girti Deewarain by Upendranath Ashk, translated from the Hindi and described on the back of the book as the work of “one of the titans of 20th-century Hindi literature”. Inclusion in such a series means that it will be widely read all over the world, including Pakistan. Whenever I see Girti Deewarain celebrated as a Hindi novel, I nearly miss a heartbeat. What a missed opportunity for Urdu wallahs who have failed to acknowledge and appreciate this superbly crafted and meticulously detailed, larger-than-life novel. Ashk was born in Jalandhar but it was in pre-Partition Lahore that he established himself as a short story writer a few years senior to his friends, Krishan Chander and Rajinder Singh Bedi, and to Saadat Hasan Manto who was to become his arch rival. It was on the suggestion of Premchand that he turned to Hindi as it was economically more viable a language to be writing in. However when Ashk visited Pakistan in the twilight years of his life, he told me in an interview that he prepared his first draft in Urdu and this is how he first wrote the story of his life and his major novel in Urdu. But he could not find a publisher to meet his terms so the novel was published in Hindi and went on to become a widely read but controversial classic. The author revised his original Urdu version, brought it up to date and published it in 1983. This was when I first read it and immediately came under its trance. I have always wondered why this magnificent novel has been overlooked by readers and critics who complain about the paucity of good novels, but whichever language you read it in, Girti Deewarain will not fail to impress. It is as if an entire microcosm of old town lanes, teeming with people of all kinds suddenly comes alive. There can be several kinds of walls and all of them are not likely to crumble into a heap of words. The name of the novel is intriguing and one wonders which walls the author is referring to. He explains in the introduction that there are “multiple walls of frustration surrounding every aspect of lower-middle-class life”. Without giving away the story, he goes on to say that “along with the thick walls, there are thin ones too; these hem in the mind of the hero and they fall, they push away the darkness in his mind, allowing the light of his awareness of reality to illuminate the recesses of his inner being. Because walls in the heart and mind break soundlessly and fall slowly, their rumbling is not heard.” Beautifully put, this could serve as the epithet to the entire novel. The very first sentence of the novel strikes a definite chord and conveys the gritty, rough-hewn quality of the entire narrative: “Chetan was fed up at last. And so, one day, he set out quietly for Basti Guzan to catch a glimpse of his future wife”. The story moves with him as he covers the short distance with a rather grim determination but does not miss the small town people and the many things to see, including girls coming out of the school and bracing themselves for the ogling and leering crowd. Chetan finds another girl far more attractive than his intended who is rather plump and ordinary for his liking. He can convey his unhappiness to his mother but not to his strict and authoritarian father who is a drunkard to boot. Chetan learns to hide his true feelings as he allows himself to drift along the course his family had determined for him. He is an aspiring author who has to struggle to make some money from hack writing for newspapers and cheap publishers. Chetan’s ambitions know no bounds and he dreams of writing a big novel even though he has limited talent, apparently. A notebook containing the working draft of his novel is literally swept into the gutter when he slips on a sewerage line while walking in the rain in a way which anybody would find humorous other than the protagonist himself. Chetan’s world is meticulously recaptured through fine and seemingly trivial details which make the background come alive. A multitude of minor characters crowd the main narrative. Chetan’s inner world is not described and we do not get any inkling of what goes on inside his mind in the modern psychological sense. His inner feelings are conveyed through memories. While his own motives are not clear, he moonwalks from Jalandhar to poor localities in Lahore and Shimla, observing a wide array of people and incidents with camera-like precision. Is he a camera, like Christopher Isherwood of The Berlin Stories? Or a “mirror walking down the road”, literally shehar main ghoomta aina, a phrase which he used as the title for one of his subsequent volumes and attributed to the master French naturalist Stendhal who used it as his definition of the novel as a genre. Chetan and his world are the basis of the story but Chetan himself is a rather fluid and somewhat opaque centre. It is on a rather poignant note that the story reaches its climax. In a remarkable statement she declares that the novel has “written” her life. She steers clear of making tall claims of universality for it, since “Falling Walls is a profoundly specific portrait of a time and a place that couldn’t be mistaken for any other”. She recounts that the novel is many things, “a cultural history, a literary picaresque, a Partition novel (in its reconstruction of an undivided Punjabi past), a bildungsroman and a work of satire”. Her fascination with the novel is grounded in her own experience and her relationship with it: “what it has been for me, in particular, is a guide to finding one’s artistic voice and medium”. This is very close to the spirit of the original as it is first of all, the story of Ashk trying to find his own artistic voice and a relationship with his experience. It is to his credit that he makes a story out of his artistic quest, a story which many people can relate to, even those who do not share his background. Rockwell goes on to discuss the Proustian element, Ashk’s quarrelsome relationship with his critics and links with Progressive modernism. My one complaint is that although she explains that Falling Walls is a standalone novel, the first part of a sequence which includes seven novels, all with Chetan as their protagonist and continuing his wanderings in the same cities as in this novel, she makes no effort to describe the rest of the sequence, which would have served readers well — such as myself — who are not likely to read the rest of the books. Not unless Rockwell undertakes the translation of the other novels. Of literature’s many paradoxes, one of the most persistent is the dependence of so many writers who call themselves realists on protagonists who are anything but. Like all good paradoxes, this one too points to an important truth. From Miguel de Cervantes onwards, naïve protagonists in fiction—their hearts filled with noble ideals, believing, if not that the world is a just place, then certainly that a more just world can be made—provide a point of view on human nature that eventually unsettles readers just as much as their fictional milieu unsettles them. Of course, they may come across as purely comic if they, like Don Quixote, refuse to learn anything. But equally, should they learn to adapt themselves to their circumstances, we sense something tragic about their realism, and feel the need to defend or rescue exactly what they are abandoning. Something like this narrative arc—one says “something” because this substantial novel is only a fragment of a massive, seven-volume story, and much remains to be realized in the story’s “future”—appears in Girti Deevarein by Upendranath Ashk. Ashk is one of the realist Hindi novel’s holy trinity alongside Munshi Premchand and Yashpal. This series was his great novelistic project: the story of five years in the life of a highly sensitive young man that he hoped would also become a portrait of the age. Here is a writer in no hurry at all. For a few hundred pages, all we are given are the torments of the provincial young protagonist, Chetan, as he flaps, stumbles, falls and gets up again, buffeted by the storms of family, education, livelihood, poverty, marriage—and his own questing self, which will not allow him to accept easy answers to his questions, even as it cannot reject the dictates of convention. Brutalized by a belligerent, hard-drinking father, Chetan knows he can never become the same kind of man—but has no sense of what kind of man to become instead. He needs time to grow into a place of independence, but meanwhile time is a rope twisting more and more knots around him: a wife who does not represent what he wants in a woman, a job in a newspaper that bears no resemblance to what he seeks from work. He is tormented by his feelings towards women who cross his path—most notably his sister-in-law, Neela. Not having a strong sense of self, he repeatedly places his trust in older men who seem to represent some kind of power or virtue, but each one of these engagements leads him only to a further revelation of “the duplicity of the age”. Beyond him, another figure seems to proceed serenely: the writer, building up in painstaking (and occasionally pointless) detail the surfaces and structures of lower middle-class life in undivided Punjab in the 1930s. We are in a universe of galis and mohallas (neighbourhoods), charpoys and turbans, thundering patriarchs, downcast mothers, the frames of karma and dharma, the Arya Samaj and the Congress party, a glass of milk before bed, and one set of new clothes every year (readers attentive to the literary politics of language will be interested to know that Ashk, himself a Punjabi, began the novel in Urdu and later translated it into Hindi, following the lead of Premchand, who was an early literary champion of Hindi in the Urdu-Hindi-Hindustani debates of the time). Daisy Rockwell, Ashk’s greatly involved translator (she has also written a critical biography of the writer, and published a collection of his stories called Hats And Doctors), has elsewhere compared Ashk to Marcel Proust. The resemblance is certainly worth contemplating. Both writers wrote a seven-volume novel sequence that remained unfinished. The theme of In Search Of Lost Time is also the development of a nervous and questing young man into an artist, and both protagonists return obsessively to the fevered climate of their childhoods. But the fundamental difference is that Proust’s story is told in the first person by the protagonist, who by the force and beauty and peculiarity of his obsessions succeeds in converting us to his poetic vision of reality, while Ashk’s narrator shows us Chetan from the outside as the prisoner of his circumstances, and the reality of Ashk’s world remains stubbornly prosaic and mean. The workings of memory are central to the narrative method of both writers. But the dozens of flashbacks to Chetan’s childhood reveal not just a character who seeks refuge from his own present, but also a writer wrestling with his own rather rudimentary technique, and finding no other way of going forward than going backwards. Towards the end, though, the writing suddenly takes wing, and Chetan’s difficulties with the world begin to be marked by insight rather than incoherence. Glimmering observations begin to appear about the relationship between art and life, self and society, religion and morality (trying, for instance, to compare the boy Chetan’s love of nature with the adult Chetan’s love of art, the narrator observes that “with art, he found what he couldn’t attain in nature: self-expression” and that “Art is really the daughter of nature”). The story builds up to a devastating denouement. After having meditated for long upon his discontent, Chetan decides that he is at fault for the emotional distance between his wife and him. He resolves to make an effort to scale the wall of gender difference so deeply built into marriage by tradition, and make his wife not his slave but his friend. The simple way of describing this book is that it is about a young man named Chetan—coming of age in 1930s Jalandhar, later living in Lahore and making an extended trip to Shimla—who wants to be a writer or do any sort of creative work, and the impediments in his path, some of which are rooted in his own personality, others in external circumstances. But this description is insufficient: Falling Walls is also a multi-layered portrait of intersecting worlds, with Chetan as the fulcrum. It is about relationships in a lower middle-class family, about young people trying to find their way, about missteps and successes, sexual awakening and minor transgressions. It is a ground-level view of three cities at a very particular time in a nation’s history. And it is an enquiry into what it takes to be an artist, and whether the effort is worth it. All this makes it a book with big themes (Ashk’s novel cycle has been compared with Proust’s Remembrance of Things Past), but you rarely think about that while reading it, because its many little episodes work so well on their own terms. There are well-observed character portraits, such as the one of Chetan’s alcoholic father who believes fervently in the folk saying that a parent’s curses are like drops of milk and ghee (and who, like most bullies, turns self-pitying when the tables are turned on him), or Chetan’s sister-in-law, who grew up in a strife-ridden household and carries that discontent within her (‘in view of her training, it was hardly possible she’d allow an undivided reign of peace in her married home’). There are moving details that illuminate a state of mind, such as the observation that when Chetan’s mother got married and left for her husband’s house, ‘her crying was not for the loss of the joy that girls feel at their natal homes, but for the lack of joy she’d felt there’. And there are amusing descriptions: sleepy-eyed clerks at a railway platform are likened to yogis, far removed from earthly matters; a poets’ soiree is compared to a beehive that gets jostled—‘just as the bees fly out this way and that but eventually settle back in the very same place, the audience and the baitbaazi poets eventually began to gather at the Pona again’. As the months rush by, we see Chetan experiencing the many faces of love and attraction, along a spectrum that ranges from idealised romance to uncomplicated lust. Ashk shows how forbidden love might play out in this setting— early passages involve Chetan’s oblique ‘conversations’ with a girl named Kunti, whom he likes (they can’t speak directly to each other, but each says meaningful things to a friend in the other’s earshot)—and how this can segue into bolder forms of intimacy and unexpected encounters with strangers (a co-traveller in a train; a coquettish neighbour). Or how, in a large extended family, when a young man interacts with his new wife’s attractive cousins—prone to hero-worshipping a jijaji—a conversation can acquire flirtatious shades and threaten to rupture the social fabric. One of this narrative’s achievements is that it is wonderfully fluid even though the structure is really very intricate. As Rockwell notes, it is full of ‘memory-triggers’— often a single sentence, set apart from the text around it by a visual break, heralds an excursion into ‘the boundless and pure pastures of the past’. These memory-triggers unpeel layers for us and demonstrate one of the advantages of this sort of immense, detailed narrative: our view of the characters and their personal equations keeps shifting; the effect is akin to life itself, where you move from the comfortable certainties of youth to a broader understanding of the many dimensions of people. So, for instance, Chetan’s elder brother Ramanand is initially presented as a naïf and dabbler, never destined to come into his own, a burden on his parents. As he fumbles, with funny results, from managing a laundry business to being a minor-league Congress leader—and treating both as the same thing—we are told ‘Bhai Sahib devoured the heaps of knowledge contained within books like a white ant; and like a white ant, his mind remained a total blank.’ In a different sort of book, this may have served as the final word on Ramanand, or he may have remained so peripheral that this one-dimensional view, at a particular point in time, would have sufficed. But here, much later, when Bhai Sahib, preparing to start a dental practice, visits Chetan in Lahore, we see him—and the brothers’ relationship—in a fresh light. Living independently from their parents, they have candid, grown-up conversations, face new challenges. If the Falling Walls structure resembles a jigsaw puzzle at times, it also made me think of a magnifying glass slowly moving from one section of an enormous canvas to another; hovering above a character, giving us some information before drawing back so we can once again appreciate how all this is an essential part of our protagonist’s world. Each of the story’s major settings informs the mood of the book itself. It begins in Jalandhar, where Chetan is a child of a family, cowed down, under his father’s strict eye and heavy hand; then comes the mid-section in Lahore, where he works as a newspaper reporter and deals with the rigours of domestic life (having married a girl named Chanda); and finally a long section— taking up the final 200 pages— set in Shimla, where Chetan is persuaded to go with an ambitious vaid named Kaviraj, who exploits him while donning the mask of a benevolent patron. The Lahore passages are the busiest, most conversation- driven: this warm, dynamic city leaves Chetan little time for anything other than his daily routine. He tries to write a dramatic novel, but his notebook is washed away in a sewer on a rainy night, much as his own life is being swept along by the imperatives of being a householder. But the tone shifts notably when he goes to Shimla—he is alone now, perfunctorily working on a medical book for Kaviraj, no Chanda or Bhai Sahib for company—and in this cold, relatively quiet place, he has time for anguished, drawn-out introspection; he frets about his condition, contemplates the unfairness of the world, imagines a new one where ancient walls will be pulled down. For this reason, the Shimla passages are a little pedantic compared to the Lahore ones. But the contrast between the two places serves a purpose, raising the old question: what does a writer really need—solitude or chaos, to be alone or to throw himself into life’s rich pageant? ‘Whenever Chetan ran from life he could only find peace in the bosom of nature or art,’ we are told. Yet art doesn’t always bring him peace either—sometimes it results in humiliation, as when he sings the Raag Bhairavi at an evening concert, or goes on stage wearing his glasses while performing in the play Anarkali. He is dreamy and passive in many ways (attending a Congress meeting as a teenager, he ‘didn’t want to move like a wave in a sea of volunteers. He wanted to stand by the side and watch the splendor of the sea’) and his artistic aspirations are scuttled by the disorder around him; in one notable passage where he sits down to play a precious, newly bought flute at a railway station, bliss soon gives way to heartbreak. He writes letters with colourful descriptions (‘You know how there’s lovely tasty fruit inside the ugly bumpy skin of a chikoo? It’s the same with this beautiful, tasteful house in our filthy neighbourhood’) but can’t go much further. Comparisons have often been made between Marcel Proust’s Remembrance of Things Past and Upendranath Ashk’s Girti Deewarein, and with good reason. Both novels run into seven volumes, are semi-autobiographical, rely on a host of associative memories relived through a complicated series of flashbacks, both have somewhat earnest protagonists who are struggling to become writers and in both cases the writer died while he was still writing the seventh volume of his magnum opus. Also, both Remembrance… and Girti Deevarein are urban legends: more talked about than actually read, for few can claim to have read all seven of these densely written epics. Of course there are the differences: Proust documents the life of a well-to-do upper-class Parisian while Ashk chronicles a lower middle-class Punjabi with little money to spare for the small luxuries of life. If it is the dainty Madeleine cake served in his aunt’s well-appointed parlour that becomes a memory trigger to a privileged childhood in one, there is the harshness of an alcoholic father’s curse-laden voice that brings back a host of painful memories in the other. But underlying both memories and common to the narrative style of both novels is a relentless detailing, a piling up of images. Nothing is too small or too insignificant: the exact shape of an eyebrow, the names of mohallas, streets and bastis, the way light falls at a certain time of the day in a certain place, everything is recalled in its exactness and entirety. And it is this that makes both riveting reading. Ashk is fortunate to have found Daisy Rockwell as his translator for not only does she have the stamina and tenacity to take on this mammoth cycle of novels but also seems to have a rare devotion for Ashk himself. Not the most affable of souls, he was famous for his run-ins with fellow writers, most notably Manto, for whom he wrote Manto Mera Dushman (‘Manto My Enemy’). He was also known to be prickly if not outright contentious about his own writings and how others viewed it. Yet 20 years ago, Rockwell came down to Allahabad as a research scholar, met Ashk, interviewed him at length, wrote her doctoral thesis on his work and has continued to translate him ever since. In between, she has also pursued a parallel career as a painter and written a volume of essays on the global war on terror as well as a novel of her own. Asked what draws her to Ashk time and again and why, like a homing pigeon, she comes back to his work after circling the literary skies, she points to its intrinsic appeal for any creative person. In revisiting Girti Deevarein and its long-drawn out tortuous journey of self-discovery, she says she finds a reflection of her own search for creative expression. The first of the seven-volume set, translated by Rockwell as Falling Walls, is the story of Chetan, a young Punjabi man born in a poor mohalla of Jalandhar who escapes the drudgery of a school master’s job by fleeing to Lahore where he hopes to become a writer and also eke out a living by working in one of the many newspaper offices that flourish in the city. Despite all its minutiae of time and circumstance, all the explicit details one young man’s life, his trials and tribulations, his intellectual and sexual urges, his marriage to a dowdy young woman he doesn’t especially care for somewhere, Falling Walls somehow becomes compelling reading simply because it transcends the personal and particular. In its slow unfurling of a mind looking to expand its horizon, in its insistent exploration of the darkest recesses of the human heart it no longer remains just the story of one young man. Also, given its richly textured narrative, its setting in provincial Punjab and its depiction of a Punjabi youth struggling to find his feet in a literary world dominated by Urdu writers, it chronicles a world located at the cusp of change. The reformist movement spearheaded by the Arya Samaj, the arrival of a new breed of ‘service-class’ people, namely those who work in the newly-established colonial enterprises as station masters, construction supervisors, overseers as well as those who provide a host of ancillary services to an emerging native middle class such as teachers, dentists, dry cleaners, etc. provide a startlingly new list of dramatis personae. Chetan is both witness and participant in this change. He sees and approves the inroads made by the Arya Samajis in reducing the burden of tradition. He encourages his newly-wed bride to drop the veil, resume her education and generally free herself from the shackles of the past. An earnest, even occasionally self-righteous young man, he condemns depravity in others though he himself is prey to all manner of deviant urges. Ashk is nothing if not brutally honest in his portrayal of all that afflicts a young man raised by a devout mother and depraved father in an atmosphere of utter suppression of the most natural of human impulses. 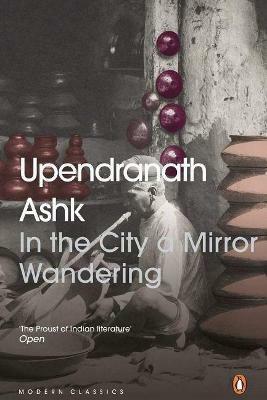 A 1947 novel by one of Hindi literature’s best-known names Upendranath Ashk, which offers an intimate portrait of lower-middle-class life in the 1930s is now available in English. From the back lanes of Lahore and Jalandhar to Shimla’s Scandal Point, Falling Walls, translated by Daisy Rockwell from the original Girti Divarein is also about the hurdles an aspiring writer has to overcome to fulfill his ambitions. The novel explores in great detail the trials and tribulations of Chetan, a young man from Jalandhar who longs to become a writer but fails at every turn. The six-volume novel cycle Girti Divarein earned the author comparisons to French novelist and critic Marcel Proust. Ashk was the recipient of numerous prizes and awards during his lifetime for his masterful portrayal, by turns humorous and remarkably profound, of the everyday lives of ordinary people. While writing the novel, there were two things that Ashk especially kept in mind. “One was that whatever was expressed was done through the medium of the characters’ lives, their life events, their conflicts and their entanglements. The author, as far as possible, did not jump into the dialogue himself. Neither did he get into debates, nor did he make speeches. Ashk (1910-1996) was born in Jalandhar and spent the early part of his writing career as an Urdu author in Lahore. Encouraged by Premchand, he switched to Hindi, and a few years before Partition, moved to Bombay, Delhi and finally Allahabad in 1948, where he spent the rest of his life. By the time of his death, Ashk’s large oeuvre spanned over a hundred volumes of fiction, poetry, memoir, criticism and translation. Rockwell, who has taught Hindi-Urdu and South Asian literature in a number of American universities, began to translate Girti Divarein in 1995. Chetan is 21 years old when the novel begins. He knows he wants to be a writer, or an artist, or something creative. But he fails in one way or another at nearly every turn. Not only do financial and time constraints bar his way, but he also lacks any real model for how to go about doing what he wants to do. He must search on his own, grasping in the dark, as it were, for the right toll with to express himself. High jinks ensue, and Chetan, as a semi-autobiographical not-quite Ashk, is foolish and bumbling, as he careers between vain delusions and profound depression. “The quest to create is not the sort of journey with a beginning, middle and end. It’s a never-ending story, and so it comes as no surprise that Ashk never quite finished the final volume of the story; had he lived five years more, he most likely would have simply continued to write. “At approximately 2000 pages representing more than 50 years of effort, Falling Walls is thus epic in its length, but profoundly modern in its scope,” says Rockwell. Upendranath Ashk, Hats & Doctors, Penguin, 2013. Daisy Rockwell’s translation of Hindi-Urdu writer Upendranath Ashk’s short stories is more of a teaser than a complete introduction to the Jalandhar-born author. Rockwell, who also edited the collection, had the fortune to meet Ashk a year before he died in Allahabad in 1996. She admiringly characterises him as idiosyncratic and hostile, an outlier in a field that was already being marginalised. Rockwell is working on a translation of Ashk’s 1947 novel Girti Divarein, a major work, and she implies in the introduction that Hats and Doctors is a somewhat random assortment of stories – some of them in debatably “final” form as the author used multiple drafts and on occasion even supplied his own translations. Through colourful anecdote, she also tells us that Ashk himself tasked her with the translation, if in a somewhat oblique manner. This obliqueness is a feature of the stories here as well, and Ashk’s subtle satire comes through more clearly in some than others. In some, it is the protagonist or narrator’s discomfort that rises to a near-fevered pitch: a newly promoted bureaucrat in “Brown Sahibs” and the hypochondriac of “Hats and Doctors”. Other memorable characters include an irritable train passenger in “The Cartoon Hero” and a miserly yet bombastic family of tourists in Kashmir in “The Dal Eaters”. Though relatively restrained, several of the stories approach the grotesque: “Dying and Dying”, set in another train compartment, juxtaposes the memory of a nuptial night with an intimation of mortality; “Mr. Ghatpande” captures life and death in a tuberculosis ward (Ashk himself spent time in one). Ashk’s concern with writing about the unfortunate members of society comes through in many stories: “The Aubergine Plant” underscores the worth of one man’s life compared to another’s. The prolific and controversial novelist, playwright, and short-story writer Upendranath Ashk (1910-1996) was one of the titans of 20th-century Hindi literature, best known for his six-volume novel cycle Girti Deevarein (Falling Walls). Although that book has not yet been translated into English, Ashk makes a long-awaited appearance in the world of Indian literature in English this year in a book of translations of his short stories by Daisy Rockwell, a scholar of Hindi literature who has also written an acclaimed critical biography of Ashk (Katha, 2004). The new book of translations is called Hats and Doctors (Penguin), and it showcases Ashk in all his vitality and variety—a stylistic legerdemain that parallels, in this story, the sartorial stylishness of the hat-loving yet hat-hampered protagonist, Mr Goyal. The many shades of Ashk’s humour are revealed in this gently satirical portrait of middle-class life in the new Indian republic, with its unselfconscious hierarchies (the separate spaces for middle- and lower-class patients in the doctor’s waiting room), its relish for long, morbid descriptions of personal symptoms and conditions (an attitude taken on here by the narrator too in his descriptions of Mr Goyal’s ailments and travails), and its great debates (allopathy or homeopathy?). “Hats and Doctors” was first published in Hindi in 1966 as “Topiyan aur Doctor”.